Express and Star WW1 War memorial. 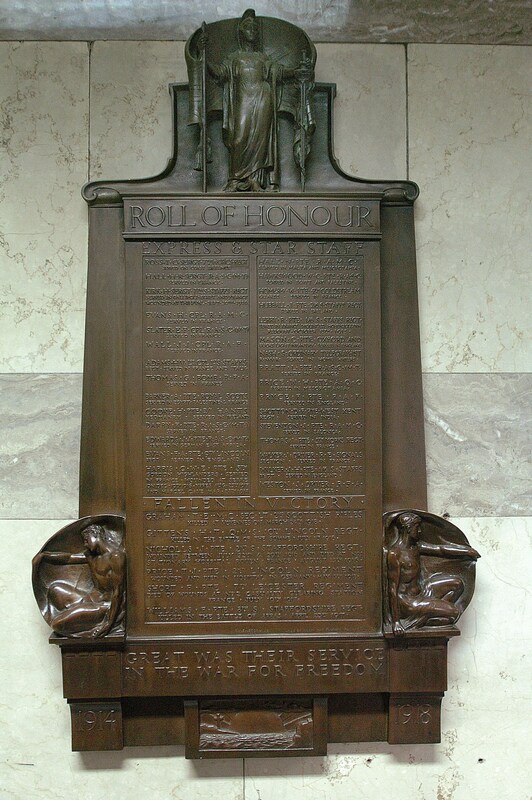 The memorial records the names of not only those who were killed, but also those who served and returned home. 2 Lt T. E. Graham MC 2nd Btn Scottish Rifles. QMS H. T. Gittens 10th Btn, Lincolnshire Regiment. Pte J Nicholls 2nd Btn South Staffordshire Regiment. Pte T. J. Price 2nd Btn, Lincolnshire Regiment. Pte F. Short 7th Btn Leicestershire Regiment. Pte F. A. Williams 8th Btn South Staffordshire Regiment. Thanks to the Express & Star for the photograph, and Andy Johnson for his help in obtaining it.